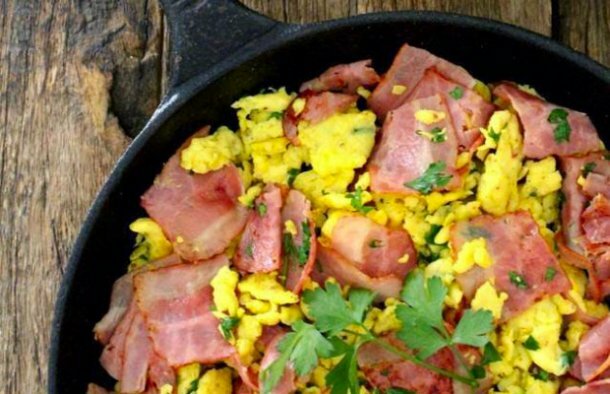 Start the day with this great Portuguese scrambled eggs with bacon recipe (receita de ovos mexidos com bacon), and serve with fresh homemade bread. In a bowl, beat the whole eggs with a wire whisk. Chop the chives and parsley and add to the eggs. Season with salt, add a mixture of the bell peppers (chopped) and pepper flakes to give a spicy touch. Pour the mixture into a hot skillet with some olive oil (to taste). 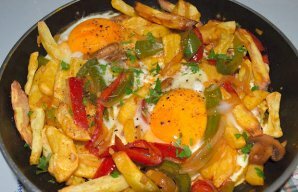 Stir constantly with a wooden spoon until the eggs are ready but still moist and remove from the heat. Cut the bacon strips into smaller equal parts. In a different skillet, fry the bacon pieces until they are done to taste. Blend the bits of bacon with the eggs and serve with slices of homemade bread. 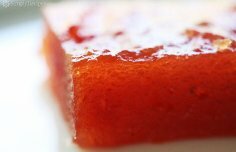 How to make Portuguese quince paste (Marmelada). I remember loving this as a child, and my children enjoy this cereal.